It is generally taken as common knowledge that Japanese localization is different—it takes more time, involves more steps and costs more than other languages. Japanese is also frequently considered to be the most difficult—and expensive—language to localize into, but it does not always need to be this way. 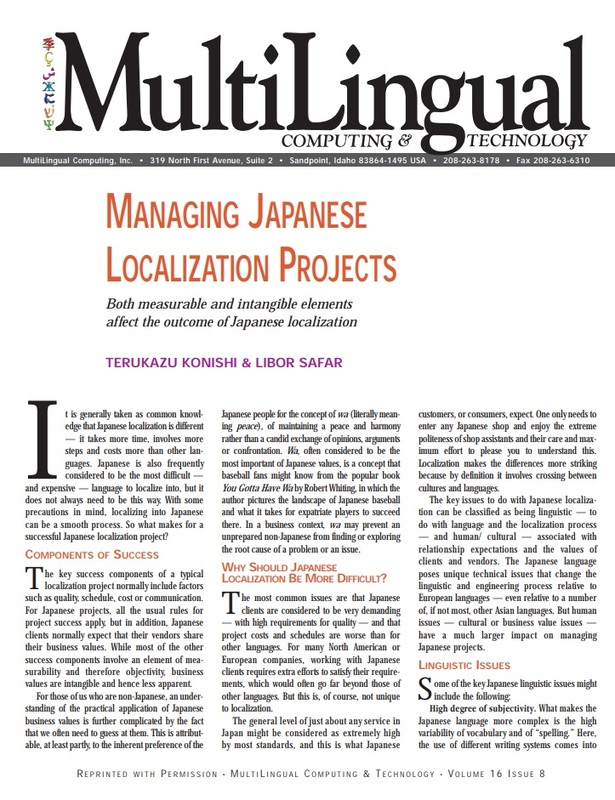 To read this article, published in MultiLingual magazine #76, please complete this simple form and download the full PDF version.